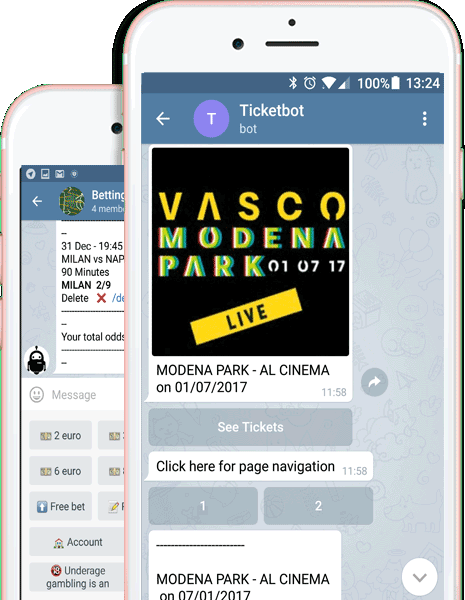 Botsolver is a Cross-Platform Assistant that gives the opportunity to Socialize online Brands Processes: Purchasing goods, travel, betting, ticketing on Customers preferite Chat Apps: Telegram, Messenger and Skype. Interactions are very simple, no need to text long or complicated messages like other bots. Clean informations. No ads or intrusive notifications. Fast as a Text Message can be. No need to download anything. 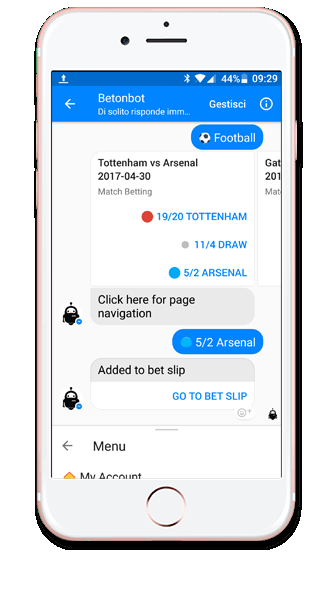 Betonbot will be added to your contacts in seconds. Choose the platform you usually text with. Do you want more informations? Looking for a partnership?